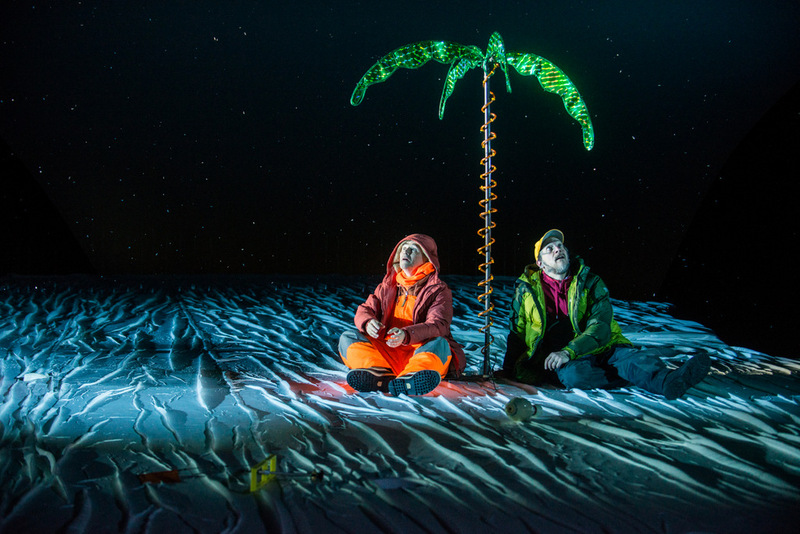 On a frozen Minnesota lake, the ice is beginning to creak and groan. 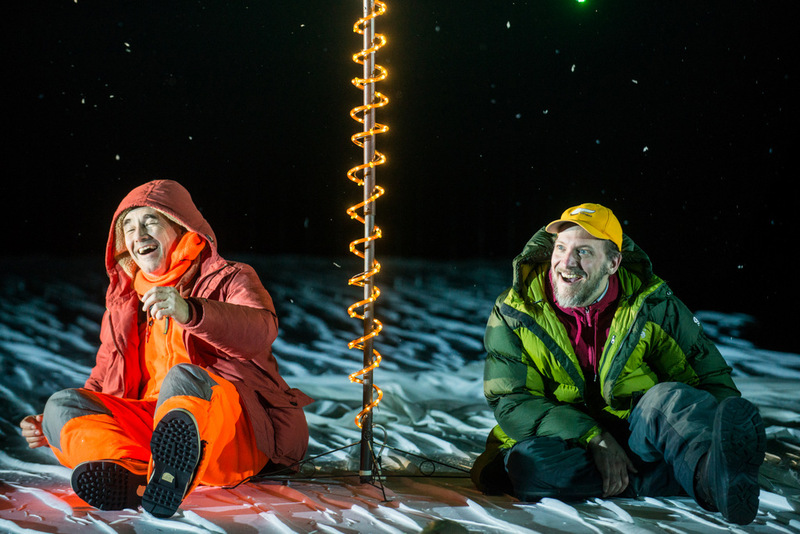 It’s the end of the fishing season, and two men are out on the ice angling for answers to life’s larger questions. 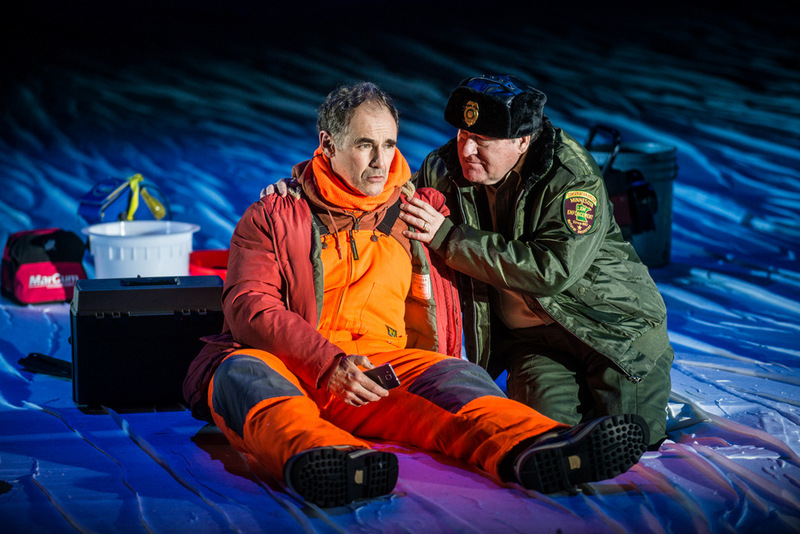 One of these men is hilariously wrought by TONY Award-winner and Academy Award-winner Mark Rylance, who co-wrote the play — his first — with the American poet Louis Jenkins. 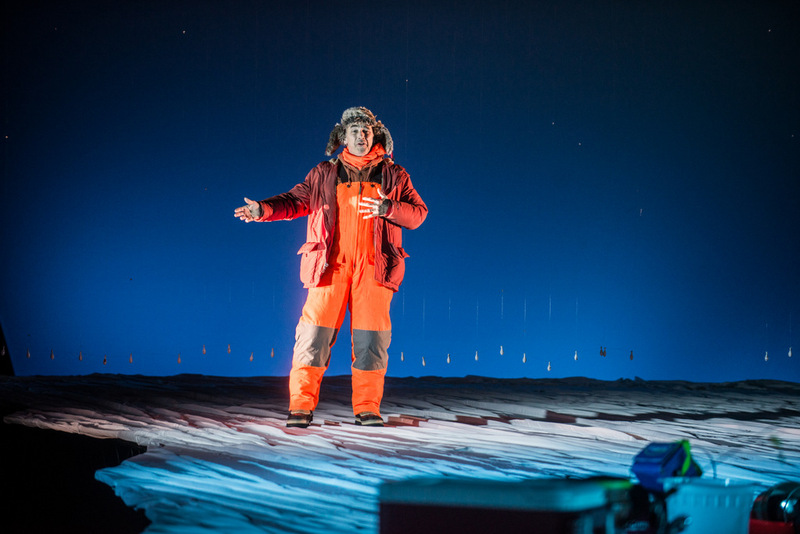 Rylance and Jenkins have adapted Nice Fish with the same wry, surreal quality of Jenkins’ prose poems. 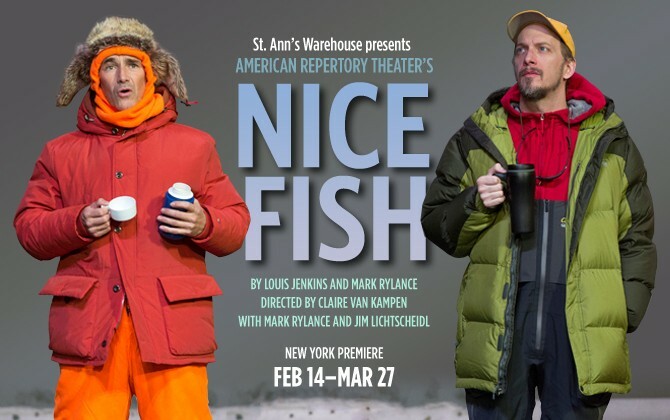 Minnesota Monthly called an original version of the play “inexplicable and utterly beautiful.” This newly produced version of Nice Fish comes to St. Ann’s directly from Cambridge’s A.R.T. 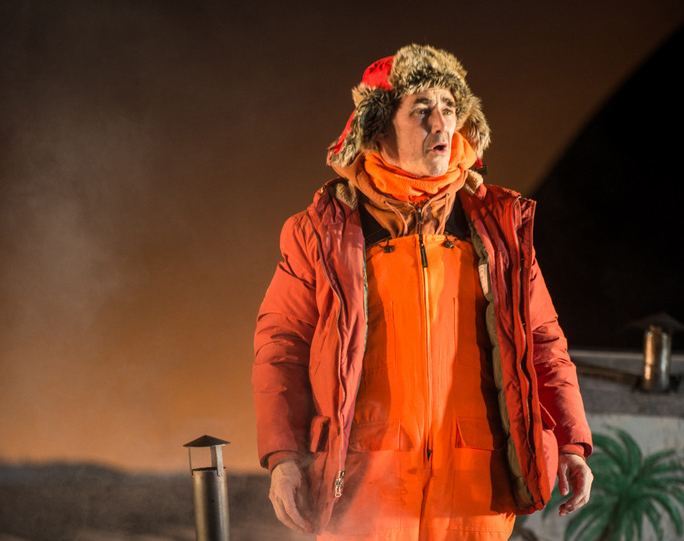 Originally commissioned and produced by The Guthrie Theater in 2013, Joe Dowling, Artistic Director. 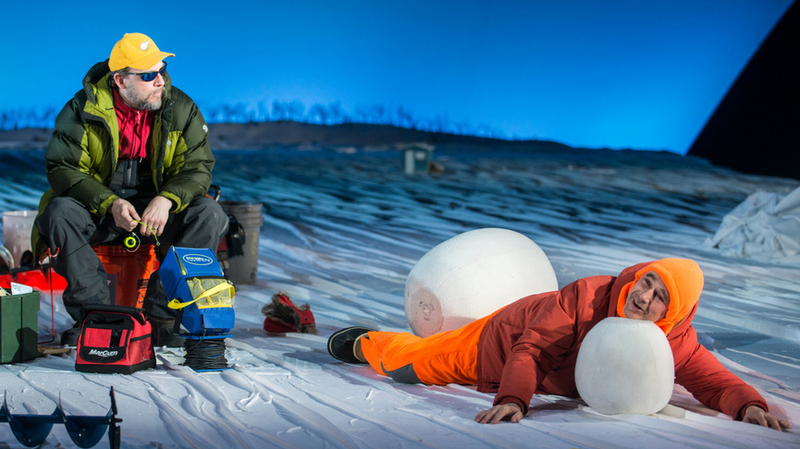 Recommended for adults and grades 9 and up. 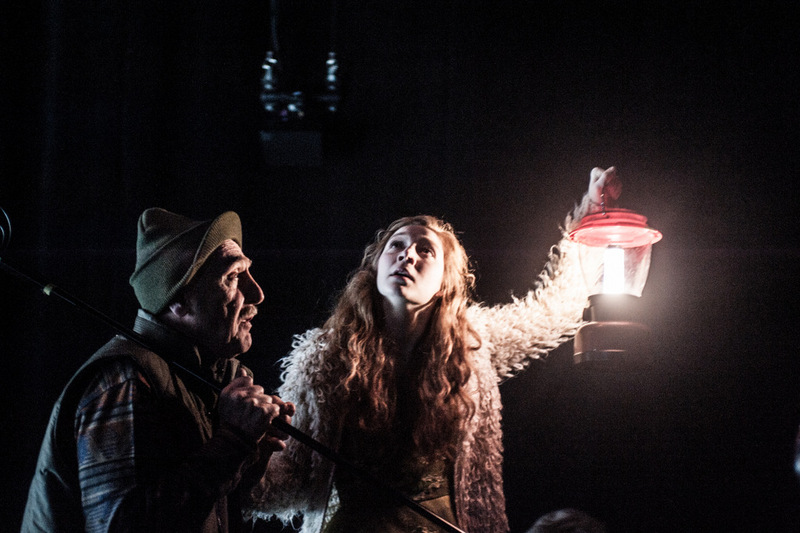 Following the 8PM performance please join us for an artist talk back. 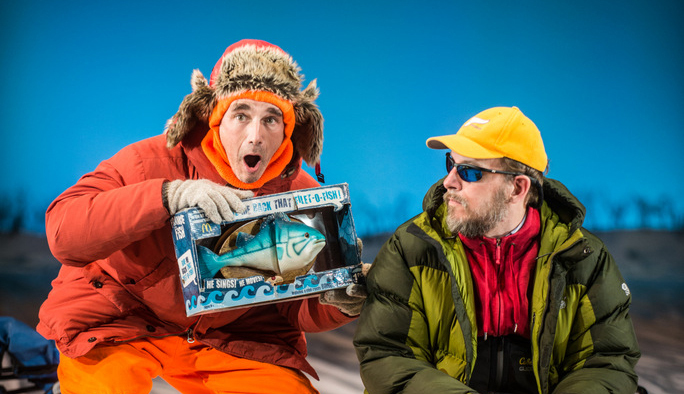 Following the 8PM performance, please join Mark Rylance, Claire van Kampen, Louis Jenkins, and St. Ann’s Warehouse Artistic Director Susan Feldman for a discussion about Nice Fish. 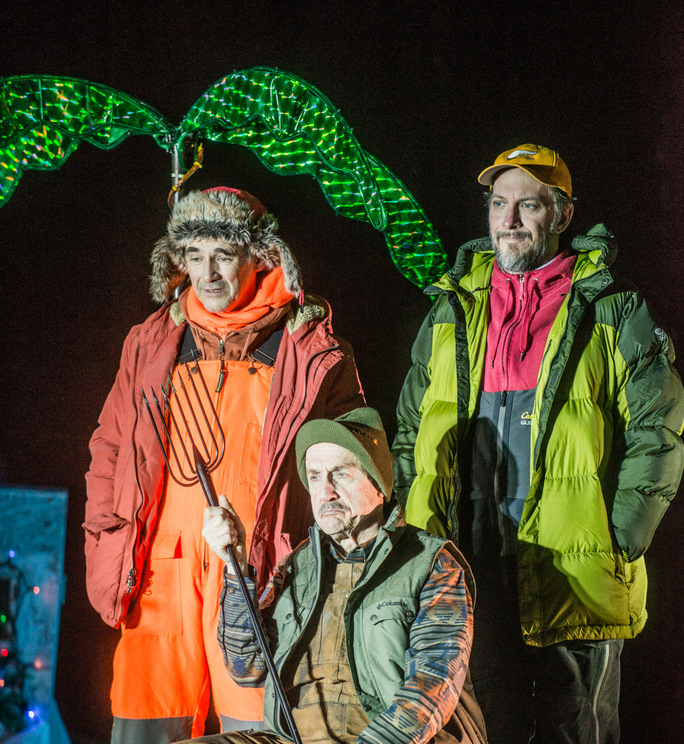 Nice Fish is a whimsical, ultimately resonant portrait of lost souls waiting to hook or be hooked. 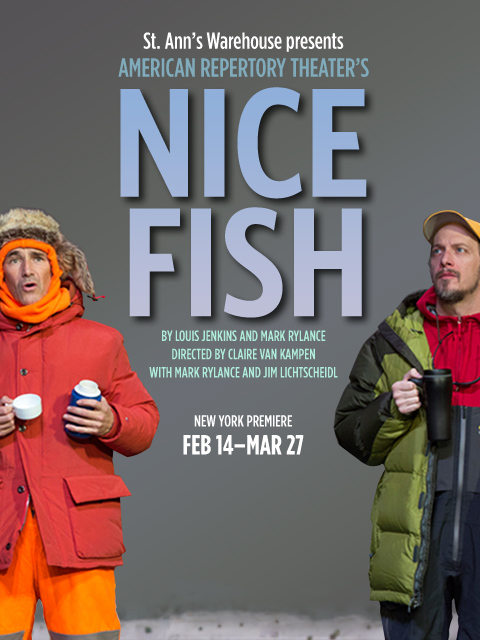 I look forward to seeing Nice Fish again years from now…It’s not just a showcase for the poetry of Jenkins; it’s a genuine work of theater.